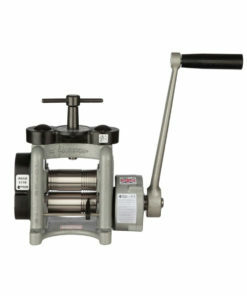 Powered Rolling Mill – DRM SS 130 Single Sided?from Durston Tools. 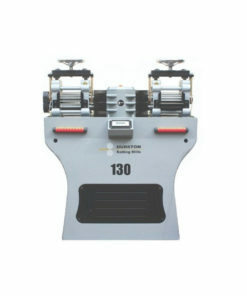 Durston Tools is the market leader in precision rolling mills and no wonder, the new DRM SS 130 is the space saving version of the world famous DRM130 single-sided power mill. It offers the same specification with a much smaller footprint perfect for when space is at a premium. Durston Tools is the market leader in precision rolling mills and no wonder, the new DRM SS 130 is the space saving version of the world famous DRM130 single-sided power mill. It offers the same specification with a much smaller footprint, perfect for when space is at a premium. The base measures just 45cm by 25cm and weigh in at just 106kg. The mill is formed from cast iron for optimal strength and rigidity and the 1.1 kW engine is powerful enough for continuous operatio,n which is why does Durston Tools’ mills have such a long working life. 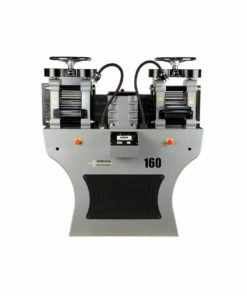 This versatile package has variable speed with forward and reverse and near silent operation. 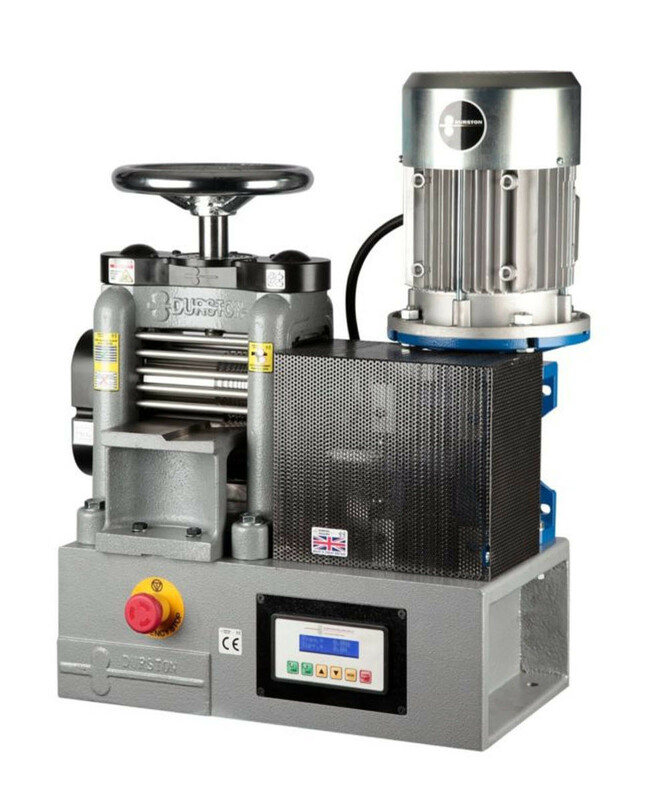 The rolls are especially induction hardened to 64 RC and the main barrels to a depth of 6mm ensuring your rolls last a lifetime. 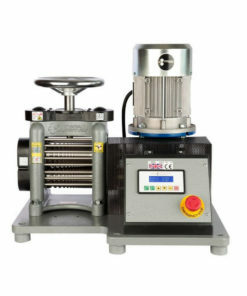 One side of extension rollers provide half rounds & safety features include an emergency stop button, safety bars at the front and rear of the mill, guards covering extension rollers as well as another guard covering the top gears. 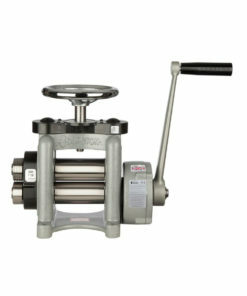 The DRM SS 130 Single Sided Power Mill is part of Durston’s award-winning range of products available since 1961.